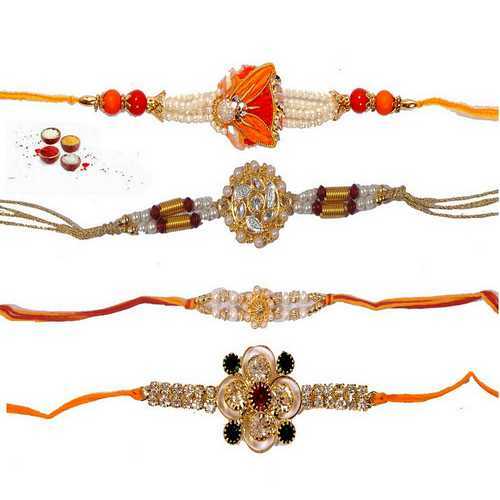 This is a lovely set of 4 premium quality jeweled and ornamented rakhis. 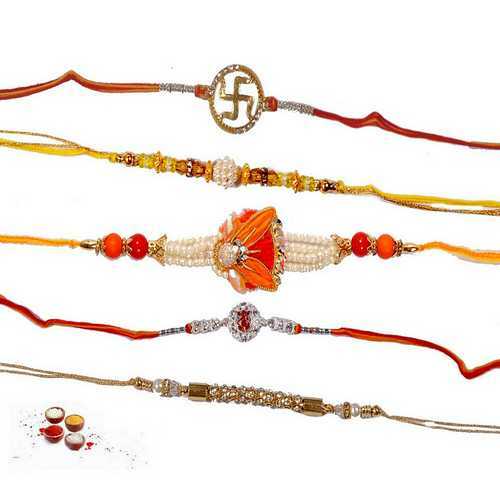 Each rakhi in the set has its own beautiful design and motif. 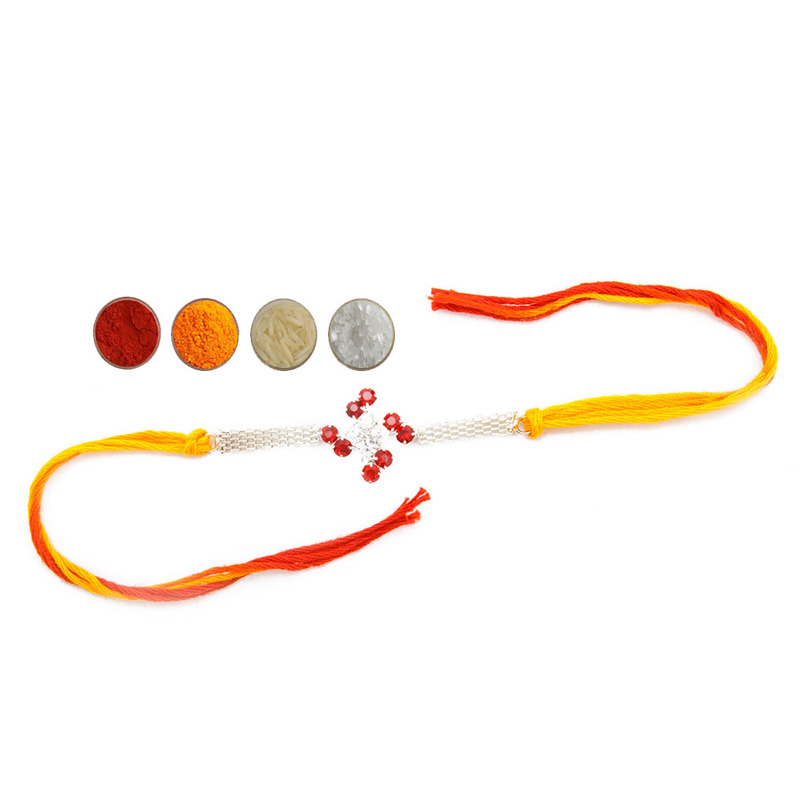 These rakhis are embellished with sparkling white pearls, premium stones, kundan, and beads. They all look very elegant and premium. They will surely impress your brothers. 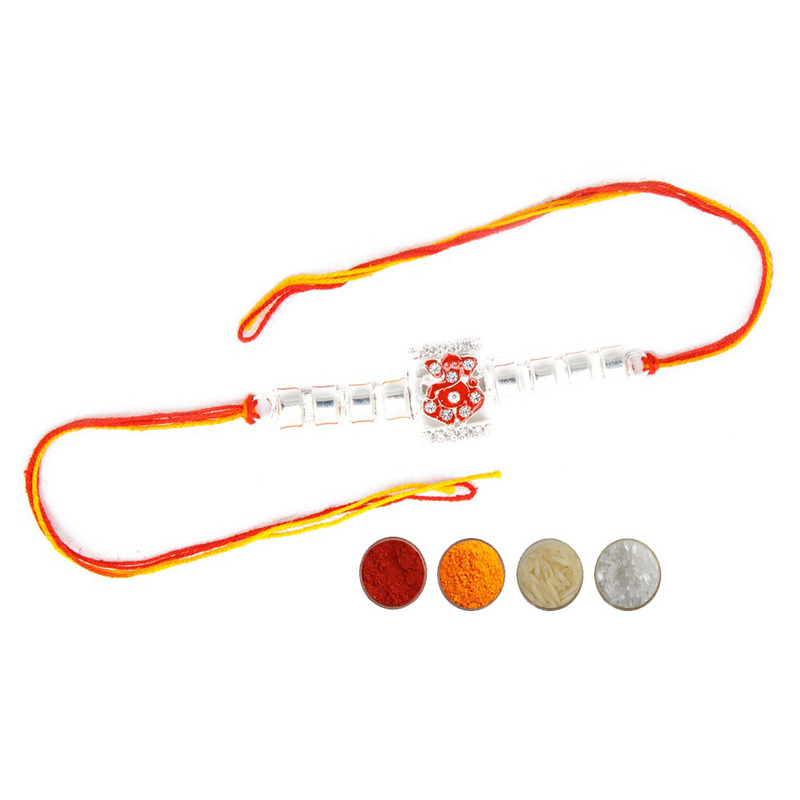 The first rakhi is designed with small pearls giving it extraordinary look with red and orange beads. It has yellow silken thread. The second one is a jeweled rakhi designed with golden threads, golden beads, american diamonds, maroon paisley beads and pearls. It has shining golden dori. The third one is designed with golden beads, golden threads and shimmering white pearls. It has silken mauli threads. The fourth one is a jeweled rakhi studded with premium stones like american diamonds and green & red kundan. It has yellow silken mauli look threads. 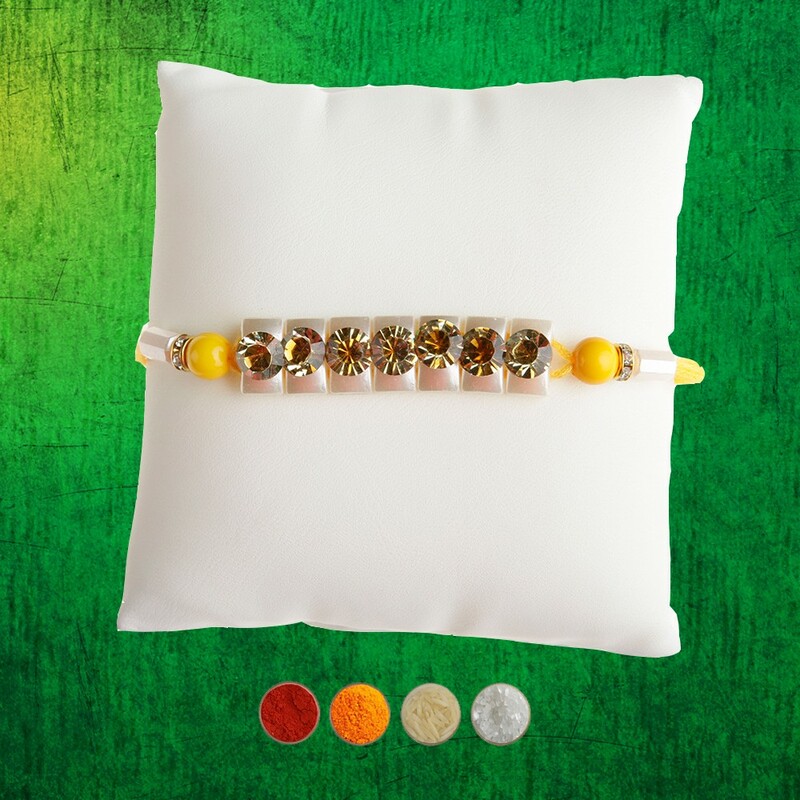 Truly, it is a wonderful collection of 4 premium rakhis. 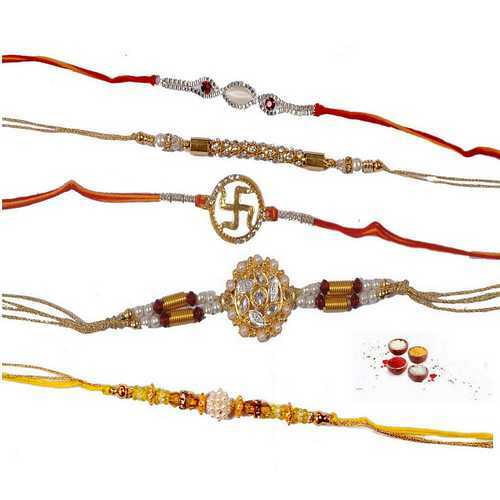 Convey your love and rakhi wishes to your brothers with this premium collection of Rakhi set of 4. We are offering these rakhis with complimentary Roli, Chawal, Chandan and Mishri in very attractive pack.